I would like to thank Rachel Random Resources and Virginia Heath, for my place on the tour. 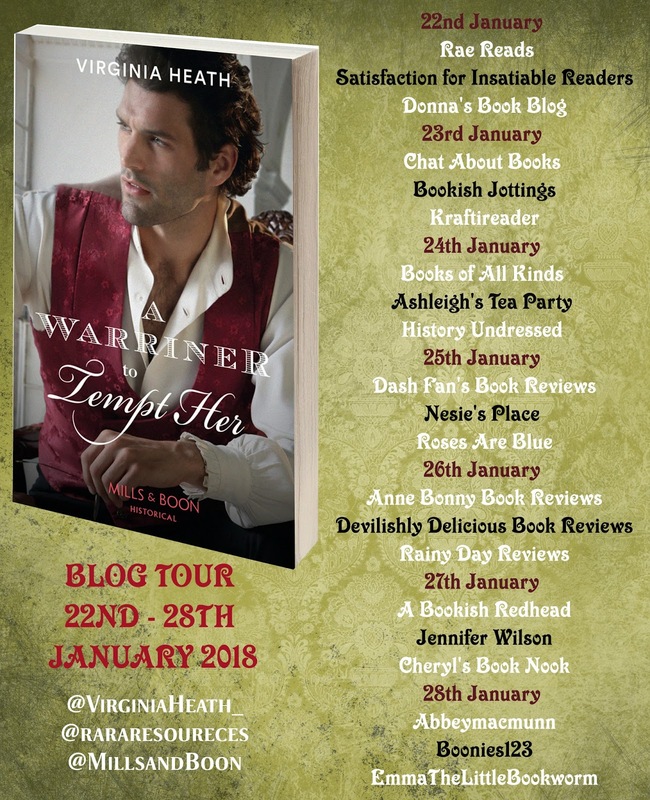 Just when I thought I couldn't love another Warriner brother, bang Virginia brings me Joe, I mean the cover alone is gorgeous. I love Joe as much as I loved Jack and Jamie. Well what can I say about this fabulous book, other than I can highly recommend it. For me this book had it all, you laughed, you cried and you definitely cheered. My heart went out to Bella, who has a secret and believe me when I say it takes a lot for her to confide in Joe, and when she does, oh my do we see a different Bella. When you read this book you will not be disappointed, as I already said I loved it. I give this 5/5 stars, if I could give more stars I would, this book deserves a lot more stars. Virginia thank you so much for writing this wonderful book. This book is on pre-order and is available to buy on 25th Jan at Amazon and all other retailers. 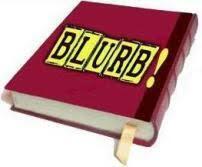 Are there any possible trigger warnings that bloggers/readers need to be aware of? I don’t think so. It tackles mental health issues in the 19th century and there is a smallpox epidemic. 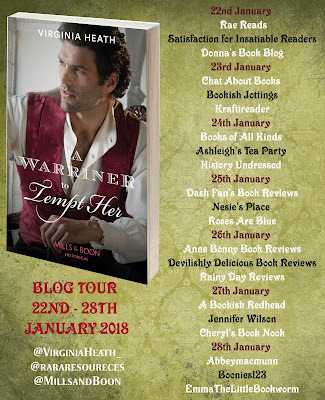 If you enjoyed my blog post then please share so we can get everyone reading and talking about A Warriner To Tempt Her, which is a fabulous book.